Sanctuary Somatics provides facilities for teachers to offer instruction in various somatic practices and spiritual traditions. Each teacher is an independent operator. If you have any questions regarding their classes please contact the teacher directly. While she was born and raised in upstate NY, Meegan considers Colorado to be home. She has lived in CO for 22 years, the last 10 in the Gunnison Valley. Her yoga journey started in 2001 when she was introduced to the Bikram hot yoga series. 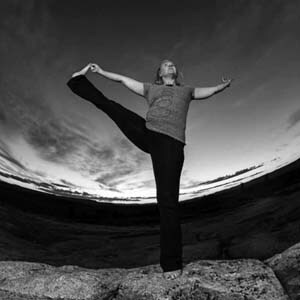 Over the years, her practice expanded to include Power yoga, Ashtanga, Restorative and Iyengar yoga. In 2009, she moved to Denver for a 9 week 200 hour teacher certification in the Bikram style yoga series. When she returned home, she started teaching in Crested Butte and in Gunnison. She soon realized that her full time teaching job in the schools and teaching yoga in the evening proved to be too much. Her yoga career was put on hold. 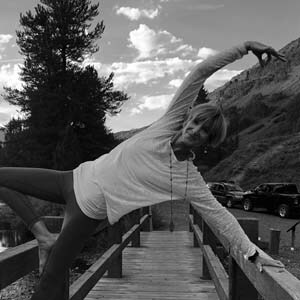 In the summer of 2013, she taught the Bikram series once again at Yoga CB in Crested Butte. Over the course of the 2013/­2014 year, she yearned for a deeper understanding of Yoga and what it means to live as a Yogi. In May of 2014, she embarked on a life changing journey to Mysore, India where she lived in an Ashram for 5 weeks, training for a second 200 hour certification in Traditional Hatha Yoga. She is humbled and honored to bring Hatha Yoga to the Gunnison Valley. She looks forward to sharing the wisdom and practice bestowed upon her. To breath, relax and have awareness of the body is the true experience of yoga. 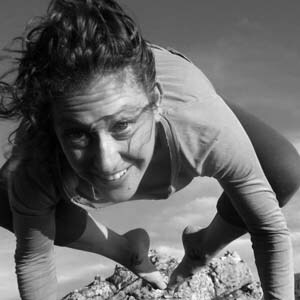 Leia is an E-500RYT Yoga Alliance approved teacher who has been teaching yoga in Colorado since 2005. She is known for her authentic, non-judgmental teaching style (infused with a hearty dose of humor; a spirit of playfulness) and compassion-centered philosophy. She has been trained in the Samudra Global School of Living Yoga, under the guidance of Shiva Rea as well as a graduate of the Colorado School of Yoga (CSOY)’s advanced teacher training. She is also a Yoga Alliance Continuing Education Provider (YACEP®) through Yoga Alliance. She has also attended a 160 hour Yoga for Survivors program with Laura Kupperman. 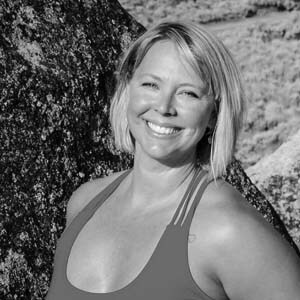 Leia has been voted “Best Yoga Teacher” for the last four year’s in the Gunnison Chamber of Commerce’s “Best of” awards. Leia has studied numerous styles of yoga including: Vinyasa Flow, Prana Vinyasa™, Ashtanga, Iyengar, Anusara, Bikram, Power Yoga and Kundalini. Her Vinyasa Flow classes, provide an integrative approach to yoga and are appropriate for all levels of practice. Leia is available for private, corporate and small group instruction. Heidi Magnus has been a student of meditation for 10 years. She has a daily practice and has attended meditation seminars and retreats. She believes in studying meditation practices from various cultures and applying them to modern day life in a practical and fulfilling way. As a former biologist, Heidi enjoys connecting the dots between science and the benefits of meditation. As an owner of a busy deli with her sister for the last 2 decades, she understands the enormous value of daily contemplative practice. 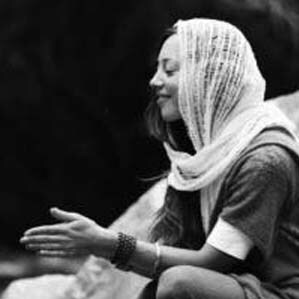 Karah is a graduate of 200 Hour Yoga Teacher Training through the Colorado School of Yoga. Karah has been studying and practicing yoga since 1994; attending numerous training’s, workshops and festivals. Her background consists of exploring the ancient texts and styles of Iyengar, Vinyasa, Anusara, Yin, Liquid Asana and Aerial yoga. Each class is a unique evolving learning experience of YOUR practice, combining alignment technique, breath-work and props if needed. Come develop your own practice with Karah! Aside from her fun classes she is a local DJ at our community radio station KBUT so expect some fun tunes to accompany her classes! Rachel earned her 200 Hour YTT at Seven Centers in Sedona, AZ in 2009. 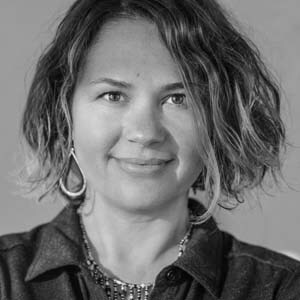 Since then, she has deepened her practice and expanded her education with trainings in Yin and Restorative Yoga, as well as experience with prenatal yoga and yoga for children. Rachel’s personal practice incorporates vinyasa style flow with intentional breath, slow movements, and held postures to “strengthen and lengthen” the muscles as well as the breath. Off of her yoga mat, Rachel enjoys being outdoors on her mountain bike or hiking with her family and dogs. Yoga brings an increased body awareness that benefits her as an athlete and mother, and she loves sharing this and the other abundant gifts available through yoga, meditation, and pranayama with her community. Rachel is available for private yoga classes, ayurvedic cooking, and postpartum nutrition support. Virginia has been meditating for 12 years, as well as practicing complementary arts such as yoga, Ayurveda, and herbalism. Her goal is to create a safe space for anyone and everyone, of all spiritual and religious backgrounds, to be able to practice yoga and meditate freely, openly, and without judgment. Not only that, but to provide the opportunity to meet like-minded people who are also looking to simply become kinder, more compassionate humans. Virginia is also a long-distance backpacker and bicyclist. She rode her bicycle across the country from her then-home of Big Sur, California to the coast of Florida. Also, she successfully completed a thru-hike of the Appalachian Trail from Maine to Georgia, covering 2,185 miles in 5 months. 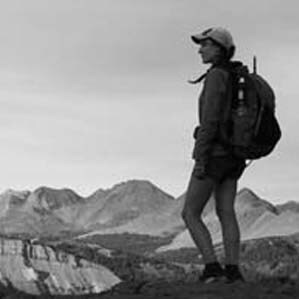 In addition, she has completed thru-hikes of a few of America’s toughest off-trail routes: the Sierra High Route, Wind River High Route, and Low-to-High Route, as well as a thru-hike of the Colorado Trail. These long-distance adventures require immense persistence, hard work, grit, focus, and patience; skills that are honed in by a regular meditation practice. Dana is a native of Boulder, Colorado and moved away to Atlanta, Georgia with her family when she was 11. From Atlanta she went on to study at the University of Texas at Austin and graduated with a Bachelor’s degree in Spanish, with minor studies in Italian, Portugues and Business Administration. In 2009 Dana took the leap and listened to the calling of her heart to move to Buenos Aires, Argentina. Among many things, she did translation work, took dance classes, overcame cultural barriers, and became a student of Kundalini Yoga. In 2011 she moved further south to the beautiful lands of Patagonia, where she opened the door to energy and spiritual work, retreats, took Aura Reading courses, lived in a conscious community, and met her husband, Santiago. In 2015 Dana received her KRI certifcation as a Kundalini Yoga Instructor through Kundalini Yoga of Denver-Crestone. In 2017 Dana and Santiago moved to the U.S. together and are currently living in Gunnsion, Colorado. 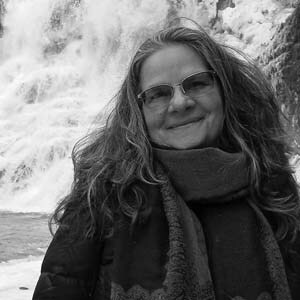 Dana offers Kundalini Yoga, Aura Readings, and Integrative Music through her Healing Arts business, Field of Colors. Her classes are integrative, energizing and grounding. Dana is also the Coordinator for the Center for Adult and Family Education (C.A.F.E.) at the Gunnison County Library, and is passionate about helping others and inspiring people to live from the heart. “What am I?”…“Where am I”…”What is going on here”…”What can I do”. Joe Bob teaches a set of ideas gathered together from the 4th Way and Basic Mindfulness work . The techniques that he shares are the results of the work of Shinzen Young, Soryu Forall Scott, Phil Blecker, and Dr. Bob Gibson. He has also been deeply influenced by the work of J. Krishnamurti, Martin Prechtel, Patricia Albere, Marcie Telander, and Tom Cross. 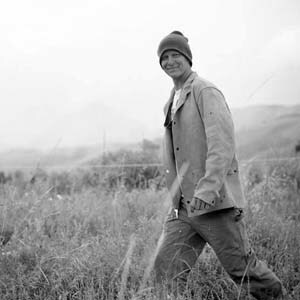 His aim as a instructor is to facilitate experiences that contribute to the evolution of human consciousness. The systems that he teaches are removed from cultural and doctrinal trappings. The techniques can be practiced by the followers of any (or no) religion. Basic Mindfulness meditations and 4th Way Teachings are conducive to the development of sensory clarity, the strengthening of concentration skills, and the cultivation of equanimity. The efforts we make in these practices are aimed towards having direct experiences of freedom from mechanical conditioning and habitual reactions. Our aim in our studies will be to increase our ability to act creatively in the midst of challenging life situations. Joe Bob is available for small group studies and private lessons.